We are a UK based company that produce a range of programs aimed at tackling various IT infrastructure challenges. All of our staff have had extensive experience working in IT infrastructure positions and are intimately familiar with the unique challenges this field presents. Every single one of our products was created following a "If only I could find an application that did X" moment. All of our solutions are designed to provide a simple, effective and unique answer to a very challenging problem. New Reporting Module Phase 1 Complete! We have wanted to overhaul the reporting function in ArchiverFS for quite some time, and it gives us great pleasure to announce that phase 1 is complete. Version 3.471 includes the new statistics collection function which does away with the separate reporting service, leading to improved scalability and performance. Phase 2 will consist of a completely new interface for the reporting module. We are hoping to have the new interface ready for version 3.472 which is slated for release in early to mid February. Autumn Special Offer - 2 Years Support For Free! For a limited time we are including an extra year of support for free with every ArchiverFS Perpetual licence. That's two years worth of assisted support and updates included for free with every Perpetual licence! This offer is strictly time limited and will run until the 31st of October 2018. If you are looking for a simple, effective and incredibly flexible way to move your old files to second tier storage like a NAS device, cloud storage etc. then there has never been a better time to take ArchiverFS for a test drive. ArchiverFS works at the file system level and it gives you a structured way to migrate all of you old and unused files to second tier storage, without trying to store files, pointers to files or even file metadata in a database. Seamless stubs that can be left in place of old files once they have been migrated. A wealth of choices to control how files are migrated like file age, size, type, etc. Ability to compress files once they have been migrated. But you also get massive scalability, agent free operation and compatibility with many technologies like de-duplication and DFS. Would you like to be a beta site? We are currently looking for users to help us trial our newest product, IP Spider. Ideally you will be an organisation that is heavily dependent on external TCP/IP connectivity, and quite possibly in the telecomms sector. IP Spider is a massively scalable high fidelity multi-threaded network route monitoring product. It is designed for use by organisations that absolutely have to know not just if their external connections are up, but if they are down, why they are down. Even in the most complex environments it is capable of identifying exactly where a loss of connectivity has occurred within seconds down to the exact hop, even if you are routing over the public internet. We will be offering all beta sites heavy discounts on IP Spider once it goes on general release in the latter part of 2018. Do you speak Spanish? Over the last few years we have seen a steady increase in customers coming from non-english speaking countries. This includes a number from China and quite a few Spanish speaking countries. In support of this trend we will be releasing a Spanish language version of ArchiverFS in the near future to compliment the English, Chinese simplified and Chinese traditional versions already available. In the meantime you can find the Spanish version of the ArchiverFS product pages here. Over the last few years we have had multiple requests to introduce a subscription based licensing model for ArchiverFS. Up until now all licences were perpetual and worked on a 'buy once use forever' basis with annual support renewals. Despite the licensing cost being a fraction of our nearest competitors and the fact that ArchiverFS already represented amazing value for money, this model had the effect of front loading a lot of the costs. Being able to offer a subscription based licence alongside the perpetual licences enable us to provide a way to spread the initial costs more evenly over years 2+. Save money on your backups by reducing how much data you back up. Cut your restore times in the event of a disaster. Help you ensure compliance with the relevant legislation in your region regarding the retention of information e.g. the Data Protection Act in the UK. Enable you to free up significantly more space on your expensive first line storage. 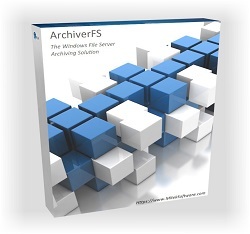 You can download the trial version of ArchiverFS for free and give it a test drive. The trial download is fully featured and it will enable you to fully explore all it has to offer on your systems in your own time.